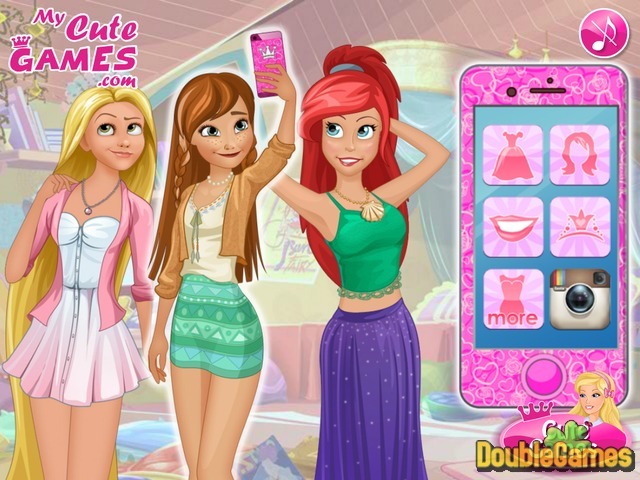 Let's challenge the famous Disney princesses and villains on Instagram in new free online game for girls! Princesses Ariel, Anna and Rapunzel are going to make a super fun and pretty selfie and post it on their Instagram. Mother Gothel, Hans and Urlsula will also dress up and take photos to post them on instagram. Who will win? 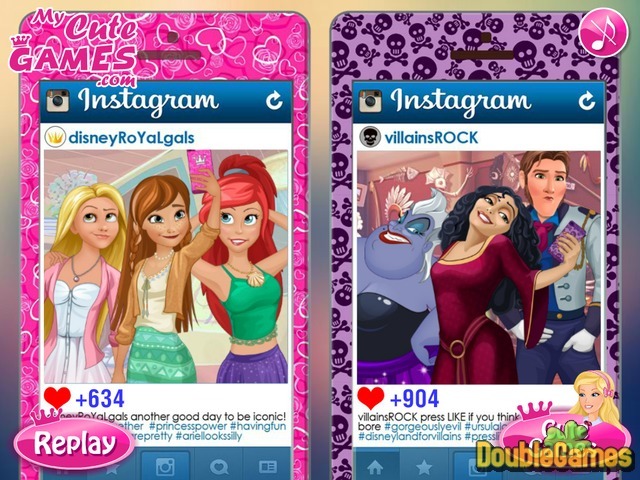 Play this fun game and help princesses and villains make the coolest selfies and then watch who get more likes. Enjoy free game online now. 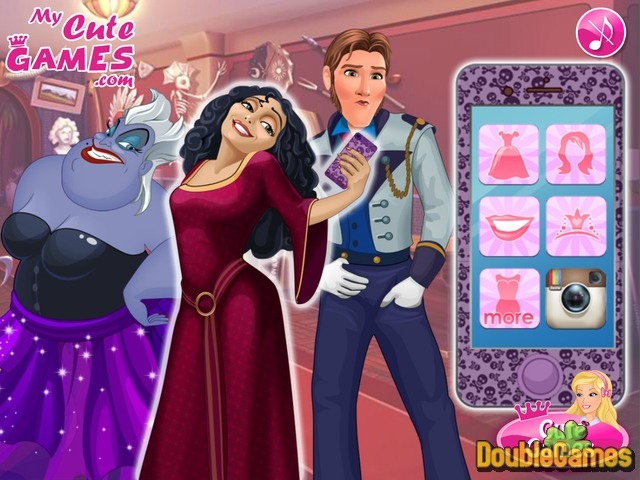 Title - Princesses vs. Villains: Selfie Challenge Online Game Description - Do your best in Princesses vs. Villains: Selfie Challenge, a Time Management game generated by My Cute Games. Play this fun game and help princesses and villains make the best selfies.